The Hawaii Teacher Standards Board (HTSB) sets the state’s guidelines for teacher certification and licensure. Hawaii guidelines are congruent with federal standards for “highly qualified” teachers. By meeting the standards for education, experience, and assessment you will show your dedication and your competence to join the ranks of Hawaii elementary school educators. Step 1 Enroll in a Teacher Education Program. Before anything else, you’ll need to get an education. Your own education is of utmost importance, as is the required teacher training program. If you enroll in an elementary education undergraduate track, your department will provide the opportunities for you to fulfill all of the academic and experiential requirements of the HTSB for certification. If you take another track in your degree program, you will have to enroll in a post-baccalaureate teacher training program. Alternatively, you can meet the training requirements by completing a master’s program in education with teaching licensure. Step 2 Get a criminal history background check. The HTSB has established a Code of Ethics that all teachers must adhere to in order to work at any school in the state. Teachers are expected to have and demonstrate a commitment to their students, to their profession, and to the community. To do this in a measurable way, you will need to pass a full state and federal background check before you can be recommended for licensure. 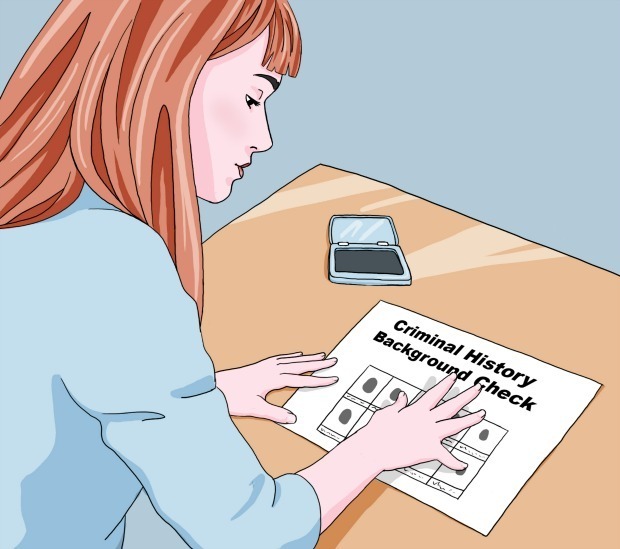 A background check involves entering your name, social security number, and fingerprints into regional and national criminal databases to see if you have been involved in any serious criminal activity or other incident(s) that would call into question your ability to uphold the tenets of the teacher code of ethics. To have a background check done, you must first get your fingerprints taken at a local law enforcement agency. A sworn officer should take your prints using an official fingerprint card. You’ll keep this card and send it in as part of your application packet when you are ready to apply for certification. Step 3 Take the Praxis examination. To complete the assessment and evaluation requirements for Hawaii teaching certification, you must pass a series of examinations. You must score well on a basic skills exam in addition to a content-specific test for elementary educators. As a condition of your admittance to a teacher preparation program, you will have to pass all portions of a Praxis I series basic skills exam. You may choose one of the following two tests to fulfill this requirement. These evaluations are designed to confirm your competency in the most basic academic subject areas. Your first option is the Pre-Professional Skills test. It is divided into three smaller subtests, each focusing on a different core content area. You can take each subtest individually, or you can elect to take a combined version of the exam. In either case, each of the sections will be timed and scored separately. 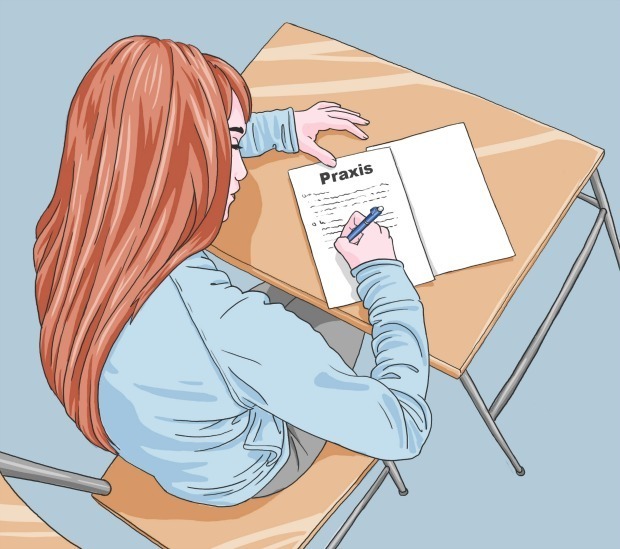 You can find excellent preparation materials for each of the math, reading, and writing sections on the ETS Praxis website. Alternatively, you may take the following exam. This is a basic skills exam, very similar to the Pre-Professional Skills exam. The assessment is also broken up into three subject areas. The testing agency website also provides great study materials for the math, reading, and writing sections of this exam. This examination, too, can be broken up and taken as three separate exams. Or, you can combine the subtests and take them all at once (they will still be timed and scored separately). Note that you cannot mix and match sections; you must pass all of three sections of the same test. Hawaii also requires that you take a content area exam specific to the subject you plan to teach. For elementary teachers, there are two exams that the state will accept to fulfill this requirement. Both are part of the Praxis II series of tests. Elementary education content assessments are designed to show your ability to instruct young students in multiple subject areas. Since elementary educators must have mastery of all major academic subjects, these tests are an important step in vetting potential teachers. The content knowledge exam has four sections, divided by content area. You will have 2 hours to complete the entire test and will need to manage your time so that you can finish all sections. Specific preparation materials for this exam can be found here. You may instead choose to take the following assessment. This test is set up similarly to the Content Knowledge exam. It is made up of four content categories and is also constructed to assess your proficiency in the subject areas you’ll be teaching. Find excellent study materials for this test, along with test-taking advice on the Praxis website. Sections are timed separately on both tests, and you will not be able to answer questions from any section after its allotted time has run out. This is one reason why it’s important to study and make sure that you are well-prepared for the exam you choose to take. You will only be required to take the PLT if you did not complete a state-approved teacher education program. If you did, the pedagogy work that you will do as a part of the program is considered an efficient equivalent. This exam is sub-divided into five content categories. Sections are not independently timed. You will be given two hours for the entire exam. Study materials for this test can be found here. You can find a testing center and register for any of the Praxis series tests on the ETS website. When you register for each test, make sure to specify that you would like your results sent to the HTSB (state code 8620). If you test in Hawaii, your scores should be sent to the board automatically. Step 4 Get the required Experience. You must complete a practicum component in order to gain the experience needed to qualify for certification. If you participate in a state-approved teacher education program, a practicum module will be included as a part of the program curriculum. When the time comes, your department will assist you in finding placement as a student teacher at a local elementary school to complete this portion of your training. While you are a student teacher, you’ll work with an experienced educator in a classroom similar to the one you hope to eventually teach in. This person will serve as a mentor and supervisor to you for the duration of your experience as a student teacher. 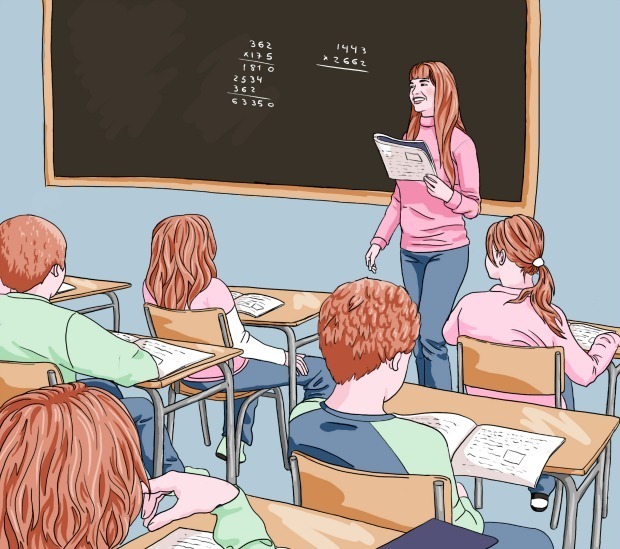 You will observe this person during class time, watching and making notes as he or she takes the class through lessons, activities, and evaluations. You will also be expected to conduct these same tasks under the observation of your mentoring teacher. To prepare yourself to be a student teacher, make sure you set aside some time to talk to advisors or other appropriate personnel within your training program. They will have good advice, and can also point you toward helpful preparation resources. Remember that you are being evaluated throughout your mentorship on your knowledge and application of both content and pedagogical elements of teaching. You will also be assessed on your professionalism and conduct. Always act accordingly; be punctual, dress and act appropriately, and be respectful to all students, parents, and colleagues. Step 5 Complete required documentation and Apply for Certification. To expedite the processing time for your application, you can apply for certification online. Start by setting up an account on MyHTSB. Once you have an account you can apply for licensure, pay your fees, keep up on the status of your application, and print your certificate once it has been awarded. You’ll also receive HTSB news and announcements via email. You may also choose to send a paper application, which you can download and print here. Your educational institution and testing agency will send all of the appropriate verifying documents. If there is a problem with any of these, or some piece of information is missing, HTSB will notify you and instruct you in regard to what steps you should take to rectify the issue.